Designers, Manufacturers and Installers of Childrens Playground Equipment! Our Dedicated Design Team then get to work to produce your ideal play area, producing a working drawing and a 3D image for you to visualise your finished play area. When completely satisfied with your chosen design our highly skilled team of fabricators start to manufacture your equipment, using high quality steel at our workshop here in North Wales. Our expert team of fitters can install your dream play area, If you are arranging for your own installation, all equipment will be delivered to your preferred destination at your convenience. Once your new play area is completed and opened we recommend all equipment is inspected on a regular basis. We hold a comprehensive range of spare parts which will be dispatched within 24-48 hours of request. Check out our Spares list here. Play & Leisure is a family run business with 27 years experience in the play industry. 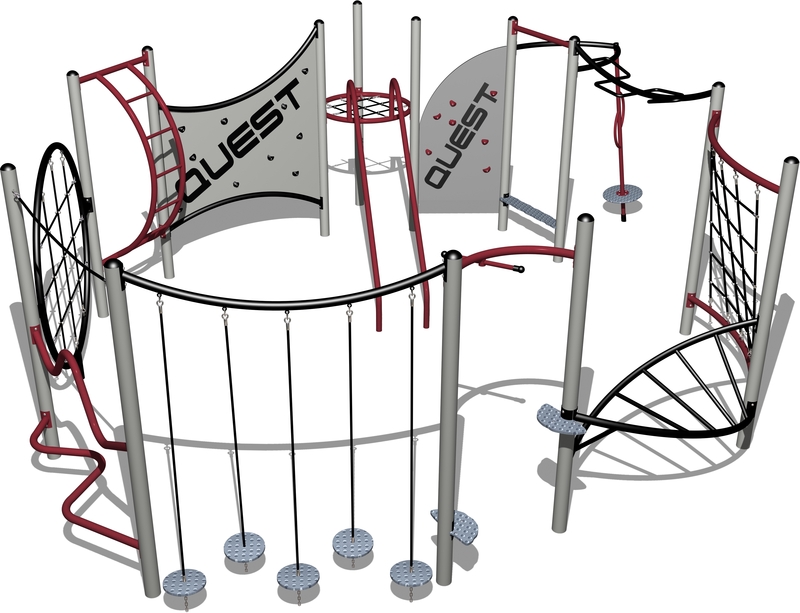 We manufacture outdoor play equipment, at our premises here in the UK, for use in outdoor playgrounds. All our products are designed, in house, to allow children to play in a fun yet safe environment, and as such they all conform to the BS EN 1176 standards. We offer a full service from helping you to realise your ideal playground, supplying play equipment, safety surfacing and fencing etc. to ensuring the kit in your play area has a long and well loved life. To ensure this we offer a 25 year guarantee against structural defects on all the products we manufacture. Please follow the links above to browse through our products, read more about what we can do for you, keep up to date with the latest news from us, or get in touch. We are a BSI ISO 9001:2015 registered company and we are members of the API, FSPA, CHAS, SMAS and Constructionline. Click here to view and download our updated Brochures. Click here to view our product range online.